We received an overnight stay and waterpark passes to Castaway Bay in exchange for sharing the post below with our readers. All opinions are 100% our own. Read all the way to the bottom to hear how you can enter to win your own #CastawayBayGetaway! Disclaimer: This post is in collaboration with Babies & Bumps, a Parenting/Baby Convention coming to Pittsburgh in 2018. All opinions are 100% my own. On April 14, Pittsburgh will be welcoming Babies & Bumps for their fourth event for Pittsburgh parents with babies and bumps. The event will give parents time to get support and resources as you navigate the parenting life. Parenting is an amazing journey, but like anything, it helps to feel confident in what you’re doing. That’s why I am excited that Babies & Bumps is coming to Pittsburgh this spring – they are a premier convention geared toward new and soon-to-be parents that covers all questions about what to expect on the parenting journey. Bonus – they bring in local resources for demonstrations, seminars, Q&A’s, and more – so you leave with a network for local places and people to turn to. It is not just for the moms – dads can come, too! Babies & Bumps will feature exhibitors and vendors such as pediatricians, infant development experts, prenatal and pediatric chiropractors, baby boutiques, and more! With topics like babywearing, what to expect as baby develops, peer groups, and early childhood education, there is something for everyone. Some of the things I wish I’d known about before having the kids was chiropractic care (for mom and baby) or how to spot issues before they develop will be covered during the event, too. Babies & Bumps is sharing details from some of their vendors on their Facebook event page, so check it out for more info. Please note – the event is for adults; however, babies in slings/carriers are welcome and a mothers’ room will be available for pumping. The space cannot accommodate strollers at the event. If you’re interested in attending, let me help sweeten the deal! We are giving away a pair of tickets for the April 14 Babies & Bumps event! The giveaway runs through March 26, 2018 at 11:59 PM ET. Good luck! We are still struggling to get the twins to enjoy bathtime. Did you heve this issue with your ‘lil ones? After hearing about the BabyDam Bathtub Divider, we are wondering if it will make bathtime just a wee bit more fun. This is a pretty awesome baby product that keeps water from filling up the whole tub. If you would like to give this nifty product a try, our friends over at MamatheFox are having a giveaway for one. Scroll down and check it out! 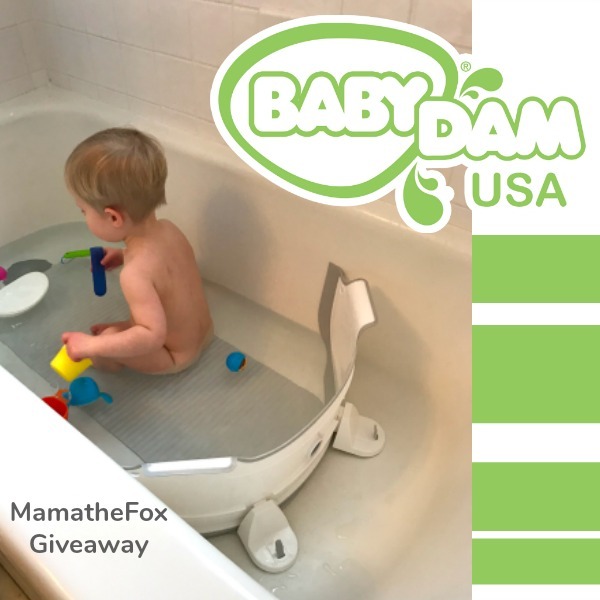 Enter for your chance to win (1) BabyDam Bathtub Divider! A retail value of $45! As part of the Mom Blog Society, I’m excited to bring you this giveaway for Teach My – a way to bring fun learning activities into your home! Heidi, take it away! One lucky reader will win a $50 Gift Card to Teach My! // Anyone else proud of their ‘lil makers for all the building they’ve been doing with the blocks and bricks they got over the holidays? Or do you find yourself wishing you wouldn’t step on them with every move? If your living room looks like Pittsburgh’s original makerspace (Snapology), trust me, that’s a good thing! Sure, it might not be fun to step on all those bricks and blocks, but it definitely is great watching the kids’ imaginations soar as they build. But if you’re tired of that happening in your living room (or dining room or sunporch or upstairs hallway), there’s a place you can let this happen – at Pittsburgh’s Original Makerspace, Snapology! Maybe it is building a bridge or a race car or a complex castle. 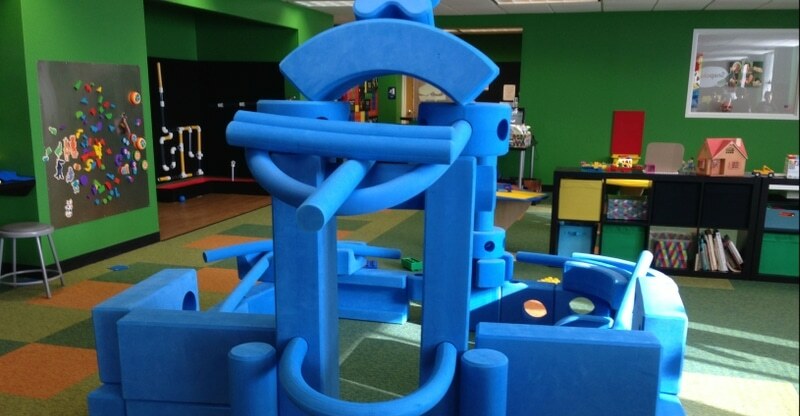 But your child will be amazed at what they can accomplish in a space dedicated to this imaginative play. Do your kids love being makers? KEEP READING for a giveaway! Snapology is a place you can take your kids to play with LEGO® bricks, K’Nex and technology? There are hands-on, interactive STEM learning activities for ‘lil Burghers ages 1-14. As the children play, core competencies in science, technology, engineering, art, math, and literacy are reinforced. Being a maker kid is where the magic of it all coming together happens. Set Games – A Giveaway! Welcome to the Set Games Giveaway! If you haven’t read the review yet, you can do so here. This giveaway will go from November 11- November 25 at 11:59 pm ET. US Only, 18 years or older to enter. One winner will receive the 5 games below for an arv of $65.00. The winner will have 24 hours from the time the winner notification email is sent to respond and claim their prize. Set Games Giveaway: The Prizes! LitJackets – Celebrate in Light! Welcome to the LitJackets Giveaway (arv $139.99)! One winner will receive 1 LitJacket. This giveaway is open to the US Only, ages 18 years old and over. It will go from 11.8-11.20 11:59 pm EST. The winner will have 24 hours to respond to the winner notification email. We reserve the right to make revisions, to cancel, or suspend this contest for any reason. We are not associated with any of the companies named above. The odds of winning are based on the number of entries received. This Giveaway is Open to the US Only and you must be 18 years or older to enter. Confirmed Winner(s) (by Random.org) will be contacted by email. Winner(s) have 24 hours to respond before a new winner is chosen. No purchase necessary. Void where prohibited by law. The sponsor(s) will be responsible for product shipment to winner(s) of this giveaway. What U Talking Bout Willis? (and any other blog participating) is not responsible for product shipment/delivery. This event is in no way administered, sponsored, or endorsed by, or associated with, Facebook and/or Twitter, Google, Pinterest. This disclosure is done in accordance with the Federal Trade Commission 10 CFR, Part 255 Guides Concerning the Use of Endorsements. Entrants must only enter with either one email address, IP address and/or Facebook account, anyone found violating these rules will be disqualified. My wife and I got married in December 2015 and I was looking for something crazy to wear to match my outgoing personality and the magnitude of the occasion for me. Not finding anything spectacular (that I would/could wear), I came up with the idea of the LitJackets (talk about not being traditional!) for what my brothers and I were going to wear to the pre-party (wife wasn’t super thrilled – at the time :P). I bought all sorts of components from Amazon, flew to India (for the wedding) and sitting in a tiny 1-cow town, created the first versions of what are now LitJackets! They were the talk of the party and were instrumental in bridging the initial awkwardness between me and my wife’s friends. Having seen all sorts of randomness on Shark Tank, I thought – why not combine my engineering background and my Carnegie Mellon MBA and give this a shot? Since it’s summer and it’s time to party, we’re finally going live with our introductory =&1=&, encouraging people to be themselves. We’re also launching our free LitJacket giveaway, by accepting emails on our site, starting Tuesday, August 8th. Sure there are other guys that make fun suits (opposuits.com). However, the patterned suits don’t really work for when it’s actually time to party (once it’s dark). Our LitJackets are the cornerstone for social interaction, fun anytime day or night, have been designed to seamlessly allow the wearer to do the things they do when they usually go out, and can simply be turned off and look like a completely regular jacket at the tap of a button, making us pretty versatile. When 15–29 year-olds go out in groups, we address their need to stick out from the crowd- wanting to be trendsetters, while also trying to be themselves. More importantly, we address their need to form unique expression with ordinary things, while being comfortable in who they are. This digitally social generation receives validation through sharing their life’s experiences, but face the challenge of finding new experiences in old environments. With too many people trying the same thing, how do you, be ‘you’? LitJackets instantly set you apart from the crowd, if you want, or bring you right back if you’re not feeling it, which is why we’d love you to #DoYou. LitJackets are the distraction conversation starter that no one ever had, whether you’d like that special someone to notice you or be the center of attention wherever you go. We shot the dance video on Tilikum Bridge with stunning drone views of the city’s night skyline. The skate video was made in a local skate park in Clackamas with local kids from around the block. The parkour video, shot as a throwback to 8-bit video games, has local kids jumping over obstacles and running through the streets of downtown. Our sentimental video has breathtaking drone views of Portland’s gorgeous Forest Park area. Even all the music we used was created by local upcoming artists. Jed & Kelly Robie, parents of four and owners of Just Between Friends Pittsburgh, know what it’s like to raise a family of four kids (like us). It can be expensive, but they say it doesn’t have to be. Their seasonal consignment sales across the area bring ways for families to shop with confidence, at a good price, and even make money by consigning outgrown kid gear and clothing. This spring, the team will be bringing two events to our area. The first is the Greater Pittsburgh sale from March 31 to April 2, 2017 at the David L. Lawrence Convention Center (in downtown Pittsburgh). All the details are available online, but here’s a quick summary of things you need to know before you shop (from me, a shop veteran and mom of four!). Are you a first-time parent or the one who always has to see things first? You might want to opt for the PRIME TIME PreSale on Thursday, March 30 from 12-9 PM. It will cost $10 paid in advance through their Eventbrite listing. You can’t show up with a ten and get in the door, sorry! I have shopped this shop when looking for a jogging stroller and I have to say it is worth it. While JBF makes sure all items are up to their standards, shopping early gets you the best of the best. You’ll pay a little more than you would later in the sale, but if you have to have it, I say buy your tickets now or enter my giveaway! Browsing and have a list but you don’t want to spend the extra to be first in the door? There are going to be plenty of amazing deals the whole weekend, but you can shop for FREE starting Friday, March 31 from 9am-7pm and Saturday, April 1 from 9am-4pm. Consignors will be dropping off even more inventory on Friday night, so you just might find something Saturday that wasn’t there the day before. Maybe bring Grandma or Auntie with you and nudge them to get something baby must have? *wink* I’ve double shopped before! See something at the pre-sale but not quite sure you need it…then you go home and you really did want it. Bonus, shopping free is more money for you to spend on new-to-you items! Love a deal? Sunday, April 2 from 9am-1pm is your day. Admission is free and any items without a star are 50% off. This is how we scored on our double stroller with carseats and four bases the year we found out about the twins. Ava really loves time with daddy in her baby carrier. This post, Top Five Reasons to Use a Baby Carrier, and the associated gift certificate giveaway are a partnership with Nakturnal. All opinions and advice are my own. I’ve said it a few times, but using a baby carrier has really changed our lives as twin parents. We’ve tried several different ones and each baby and parent has a favorite. It’s true that we’re all different, so maybe you are not a baby carrier family and that’s okay. I’m hoping to give parents our reasons to use them – I know I appreciated sage advice as I tried to find the best ones for us. Enjoy! You become hands free. For us, having four kids to be minding to means that it’s all hands on deck. The right carrier will keep you from needing to keep a hand stabilizing baby and leave you with hands to open juice boxes, hold hands crossing the street, and for you moms of multiples – changing the other baby’s diaper! Bonding. Baby just spent nine months on the inside and feels safest against you. Around the world, many cultures practice babywearing to help baby experience their new life on the outside right with mom or dad. Your voice is calming and your bond strengthens. Sleepy Dust. I’ve found several times when my babies refused to sleep in their bassinet that is was best to just slip them close to me and let them fall asleep. Then I wasn’t stuck on the couch and could get up and get myself checking things of the to-do list. Travel with ease. A double stroller is not always convenient to drag along on our adventures (even with the van). Having a baby carrier gives us more mobility. We’ve done so many things with the babies that I could not imagine with a stroller – exploring trails along the Wisconsin River, Greg taking all four kids around New York City, picking out veggies at local farmers markets, and enjoying a dinner at the winery on our anniversary when the twins were three months old. Thank you, baby carriers! Safety. Regardless of the type of baby carrier you use, baby is close to you and kept safe from all the things the world brings our way. I’m guilty of stopping the grocery cart and running across the aisle to get something on the other side. How quickly could someone come and run away with the cart if baby were in it? That would never happen if baby was being worn. We all know that guy. The one who when it comes time to buy a gift for, you really don’t know what to get. You try really hard to find unique gifts for holidays like Father’s Day, but it is nearly impossible. Please tell me it’s not just me. This year, I had some help finding Greg a Father’s Day gift. The JORD Wood Watch is one of those gifts for men that is just right for that guy who has everything. I say this, and my husband is the one who broke his last watch five years ago break-dancing so…you really need to trust me. Okay, I just admitted that my husband broke his last watch yet I gifted him a wood watch for Father’s Day. That’s right. When I saw the Ebony & Rosewood watch in the DOVER series, I just knew it was something he’d actually take care of and wear with pride. His first reaction was that it would be reserved for big things (like weddings – except the break dancing sessions, funerals, and poker nights), but he’s come to LOVE his watch and wear it around the kids and when he’s admiring all the hard work he’s put into his garden (but not while working in it!). That’s why I picked the watch I did. It is sleek yet contrasting, a watch the will stand out and be a reminder to Greg to live in the moment he’s in, making the moments count. Watching the movements of the gears between the black background and crystal clear glass, I hope he’ll make big moments happen with us for a long time to come. JORD Wood Watches was gracious enough to share a giveaway with my readers! To enter, please click this link (https://www.woodwatches.com/g/lilburghers) and fill in your information by June 12, 2016. Giveaway Details: There will be one winner chosen at random by our computer and it will be for a $75 e-voucher, and everyone who enters *(excluding the winner) will get a $20.00 e-gift card that can be applied to any watch on our website. The winning e-voucher will be expire 1 month after the ending date. The ending date for this giveaway will be 6/12 which still gives enough time to order for Father’s Day (if order is placed same/next day).